MINT – gaming world’s best kept secret? The latest in-drink? No, MINT stands for mathematics, informatics, natural sciences, and technology. But MINT is much more. It allows for planes to fly even higher, cars to become more environment friendly, polar bears to be saved, make-up to be created, and communication around the globe. How does this work? Quite simply through utilizing MINT to shape the world of tomorrow. MINT can be found everywhere. Painting walls, cooking, or playing soccer – impossible without mathematics. Bus schedules, stock trading, weather forecasts – not a chance without mathematics. This science can be found throughout our everyday lives, and you can even make musical instruments sound better with it. Informatics: The latest smartphone has hardly been released when a better and newer one comes out. Same goes for other devices. Since 2006, a special soccer ball that knows whether it went across the goal line and forwards this info to the referee, all thanks to a chip. Whether it’s health, mobility, security, sports, household, communication, or culture – thanks to informatics we are in charge of our lives. Nothing is possible without the classic natural sciences physics, biology, and chemistry and their practical application: technology. 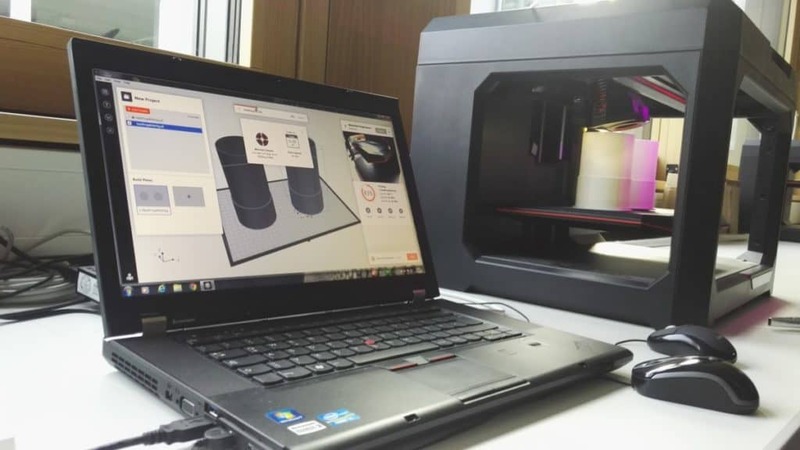 It develops methods for the industry to produce more economically. Overly simplified, this means that people conceive the most diverse types of machinery to help make other operations easier or redundant. Thus, we do not have to mow the lawn ourselves and we do not have to drop cars from great height in order to simulate crash tests. Despite the undisputed importance of MINT subjects, the technology country Germany still lacks Abitur graduates, who aspire to become engineers, mathematicians or IT-professionals. Thus the number of lacking MINT professionals is larger than the gap between job openings and unemployed people. In September 2017, this number reached a ten year high of around 500,000. What now? These unsettling numbers are not the only reason for the FPGZ supported by the Porsche AG to emphasize education in the fields of natural sciences and technology. Since 2008, the FPGZ has been a natural science and technology Excellence-Center. Thus, it is a member of a nationwide network aiming at introducing more adolescents to the exciting field of MINT subjects. The network offers events for students, but also for teachers and decision makers, and provides networking support. The most important partners next to the employers’ association in the metal industries (THINK ING.) include Siemens AG and Telekom foundation. The close collaboration with Porsche AG is an honor and a commitment also reflected in this area. We keep going: our excitement commits us to the future and we are happy that the Porsche AG supports all of our MINT activities and that we are able to continuously work together very closely. Today, every third student is interested in a technical profession. However, there are still not enough students who go on to study IT at university, because fresh talent is very sought-after on the job market. This holds especially true for women, because they are still significantly under-represented in the roughly 1700 university subjects related to IT. We offer the elective subject informatics with a weekly load of four hours for the final two Grades at our school. 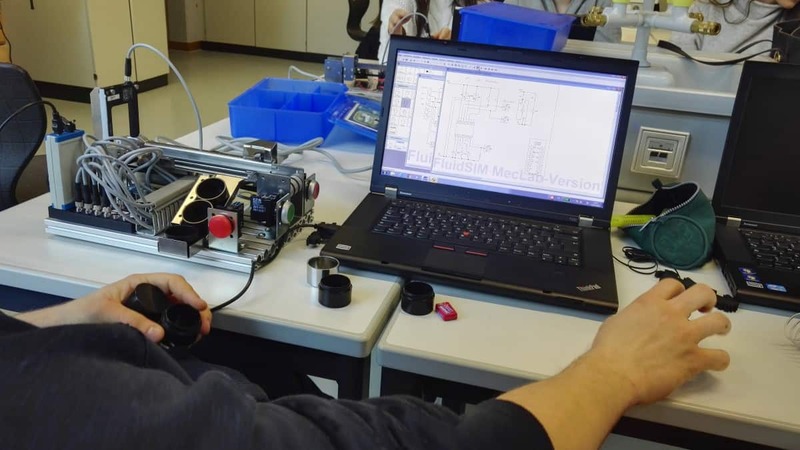 We want to further increase the motivation of our students by competing in university competitions organized by the institute of cybernetics of the university of Stuttgart. On top of that, we try to lower anxieties students might have prior to their first contact with technical issues at a much earlier point in time. For this, we entered into a partnership with IBM and founded the Roberta club. We offer children playful access to technology through touching and trying with the help of LEGO learning robots that have been didactically and technically adapted. Here, aspiring engineers use computers to program the robots’ movements and watch as their creations follow down a set course and perform certain actions along the way. Children address certain issues in small groups: sturdy construction, steering electronics, software, and sensors of the robots. Through this, children learn how technical systems are developed and gain insight into informatics, technology, mechanics, and robotics. For this early learning initiative, we were awarded the quality seal “Roberta” by the Fraunhofergesellschaft in 2008. 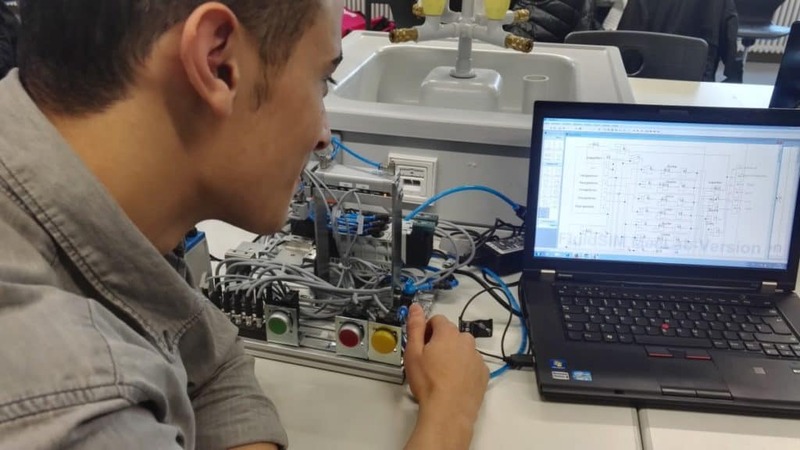 Our students’ regular participation in the Science Academy Baden-Württemberg, the Girls Campus, and the First Lego League round out our commitment in the field of informatics. Starting with the introduction of the class “nature and technology”, which further promotes the angle of the natural sciences on every day questions in Grade 6, the MINT activities are being offered on a broad scale. In addition to the basic subjects biology and geography, physics, chemistry and NwT are added, wheres NwT encompasses four weekly lessons. Entering the final two Grades, each natural science subject can of course be chosen as a core subject with four weekly lessons and thus also be chosen as subject for oral or written Abitur exams, with grades counting towards the final Abitur grade. 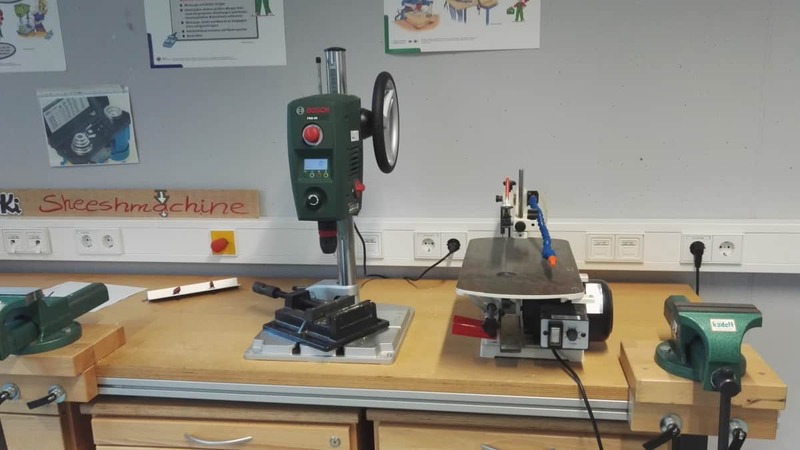 When it became possible to introduce NwT as a main subject spanning four weekly lessons in Baden-Württemberg, FPGZ was among the first schools to add this aspect with a distinct practical focus to the Gymnasium curriculum. With the introduction of the new subject NwT, technical elements were added to the natural science subjects that had been accessed through a rather theoretical approach until then. As one of two Gymnasiums in Stuttgart, we have been offering the subject NwT also in the final two years of Gymnasium since the school year 2009/2010. Thus, students learn how to handle technology responsibly. As part of the reshaped curriculum of 2016, NwT develops into a subject with keen focus on project work which features enormous diversity. Our increased NwT offer was supported by construction organized by the city of Stuttgart: In 2014, the new natural science complex was opened. 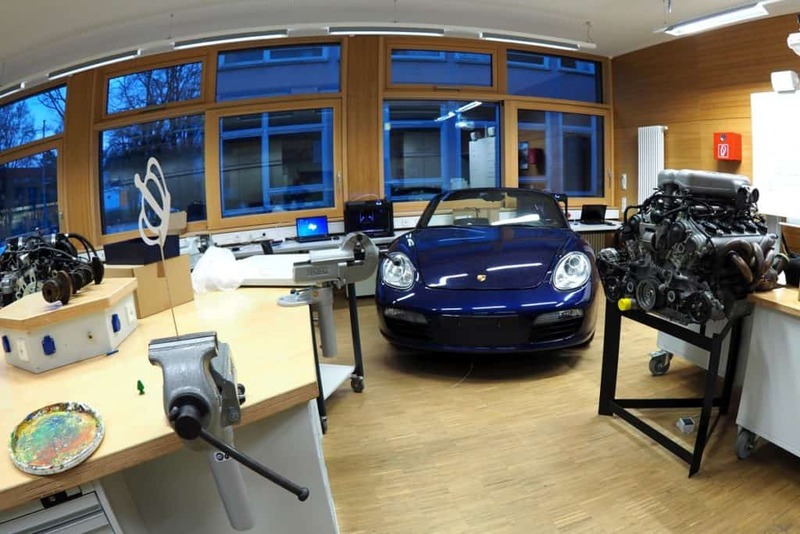 The so-called Porsche-Lab marks the heart of this sight. 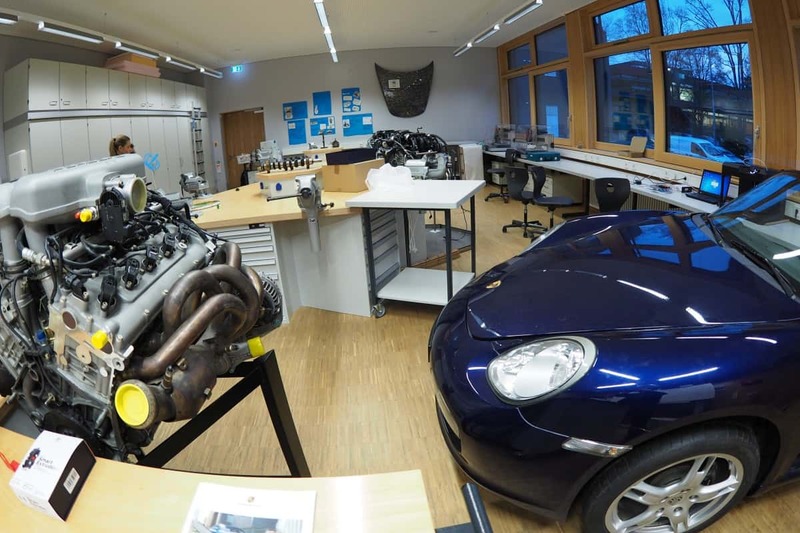 Here, Porsche motors and parts of a Porsche car including dashboard are available for practical exercises.